The men’s and women’s basketball teams have played home games at CCAC South in West Mifflin since the 1996-97 season. Jason Kim transferred to Point Park from Biola University in California for his junior and senior seasons of baseball. The pitcher didn’t get to see a regular season game played on his new home field until the 38th game of the year on April 17, 2015. The first 37 games of the season were spent on the road and practices were all indoors. Two years later, Kim serves the baseball team in a different capacity as an assistant coach. But the conditions and hurdles that come with being a student-athlete at a northeastern urban campus are the same. 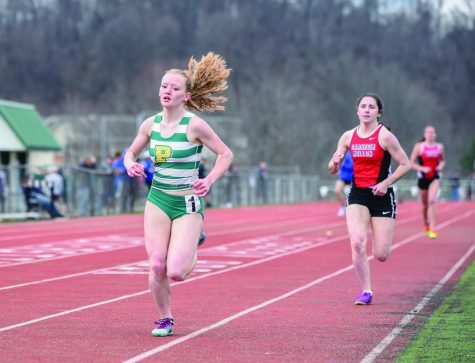 Athletes at Point Park drive their teammates to games in shuttle vans, travel an hour out of state for practice and constantly battle the unpredictable Pittsburgh weather. 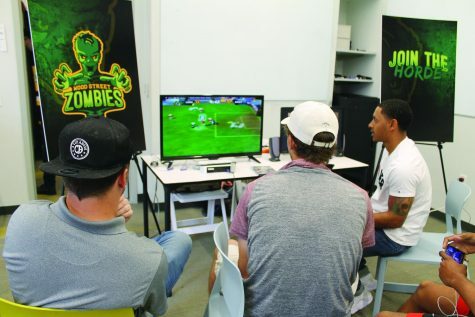 Student-athletes at the university have the unique challenge of staying competitive within their respective sports while studying on a campus in the middle of a city. Administrators face similar problems as they scout collegiate-level facilities for those athletes to use. The baseball team faced a similar challenge this season as Kim’s 2015 squad. Point Park practiced on its home field for the first time this season on March 29, a few days removed from game No. 26 on the season. The games two weekends prior were slated to be the first games at Point Park Field in Green Tree Park. The Pioneers had to forfeit home-field advantage and travel to Cincinnati to play the games due to weather. 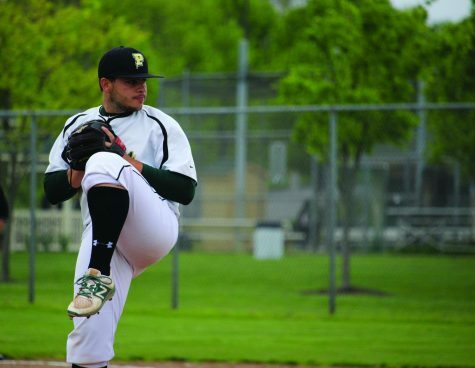 Senior pitcher Nolan Krivijanski pitched a no-hitter in game one of the series, as Point Park went on to sweep Cincinnati Christian in the four-game series. Krivijanski and the rest of the veterans know not to expect a home game until at least the midpoint in the season, but he doesn’t mind the travel. The baseball and softball teams hold indoor practices at the Green Tree SportsPlex, the Student Center gym and take swings in the batting cages on the sixth floor of the Student Center during the winter months. There are obvious limitations to practicing consistently in an indoor facility. The most notable hurdles for Krivijanski are the limited distance players have to throw and the result of a hitter’s swing in a batting cage. Head coach Loren Torres is no stranger to dealing with Pittsburgh weather and indoor practices, now in his eighth season with the Pioneers. As he does every game, he joined his players on the field Wednesday to help prepare the batter’s box and infield prior to Point Park’s non-conference game against College of St. Joseph. After the game, Torres started up the riding lawn mower and cut the grass. “If we haven’t been on our field and we’re doing well, then we have to stay optimistic that we’re going to get even better when we’re out here and working every day,” Torres said. As the team’s shortstop, Cole Johnson has had success in 2017 in the field and at the plate, currently hitting .361 with 24 RBIs in the ninth slot in the order. The senior joins the rest of the team in adapting to the consistent struggle of fielding an outdoor practice. When Dan Swalga began as Point Park’s athletic director in 2006, the facility situation for Point Park athletics looked vastly different than it would 10 years later. The baseball team played home games in either Butler or Washington, Pa. when Swalga started at Point Park. Swalga eventually transitioned the team to Burkett Field in Robinson Township. Then, Duquesne University cut its baseball program in 2010, leaving a vacancy at the field the school built in Green Tree. Swalga jumped on the opportunity to move into the facility. 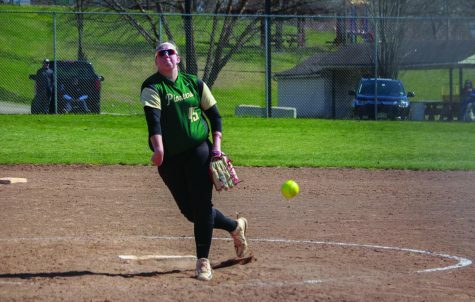 As Swalga stood behind the dugout of the newest field at Fairhaven Park, home to the Point Park softball team, he looked at the improvements Point Park’s rent money has gone towards in the recent years. The field Point Park typically plays home games on wasn’t there when the university began playing games at the Kennedy Township facility. He pointed to a set of bleachers beyond the center field fence of Lind Field, the original home field of the Pioneers at Fairhaven Park, now home to two collegiate programs: Point Park and Carlow University. 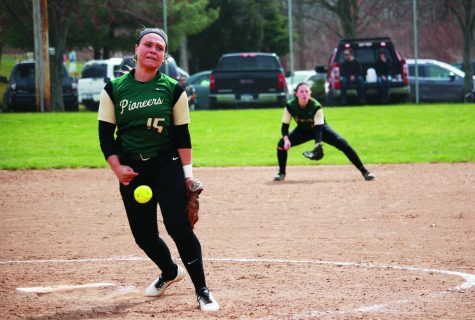 Softball senior and center fielder Alyssa McMurtrie played high school ball at Montour. She arrived to Point Park as a freshman and went to her first practice with her new team. “I thought, ‘Wait. I’ve played here before,’” McMurtrie said. It’s because Lind Field at Fairhaven Park is home not only to Point Park and Carlow, but also to McMurtrie’s high school team. “It’s a little weird, but at least I know the field,” McMurtrie said. Even though Point Park shares some of its facilities with other programs, Swalga said being a priority to wherever Point Park plays is a must. “We have to have a field or court that will adjust to our needs at the drop of a hat,” Swalga said. One facility where Point Park is and has been a priority for 20 years is at the Community College of Allegheny County (CCAC) South in West Mifflin. Playing host to the men’s and women’s basketball teams, it’s the farthest home facility from Point Park’s downtown campus. Both teams practice in the Student Center gym along with the volleyball team, which is the only group that has home games on campus. CCAC South is a collegiate-level facility that has made Point Park a priority since the 1996-97 season. Swalga said he searches for alternatives for the basketball teams every year, but his options are limited. 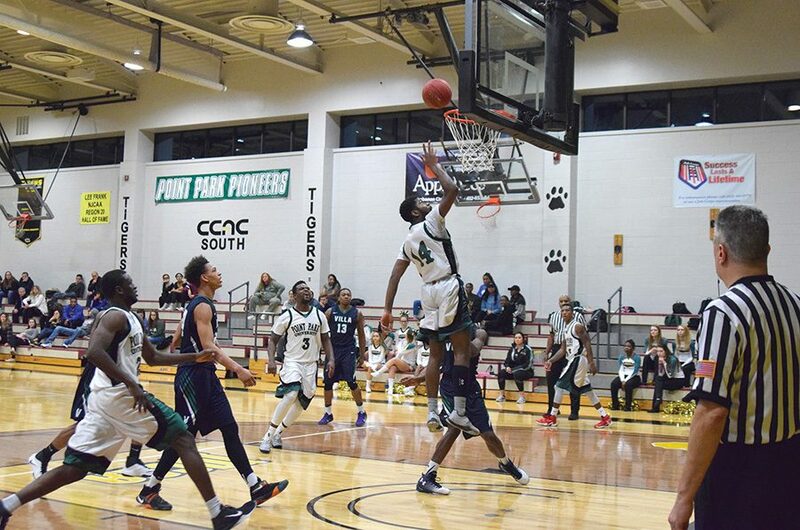 No high school gym can offer Point Park the priority scheduling options at a collegiate-level facility that the university demands. Fousseini and Lassana Konate, twin brothers from Mali who are forwards on the men’s basketball team, signed on two years ago when they arrived to Point Park to work as the team drivers. The Konate brothers drive their teammates on Point Park shuttle vans to and from every home game during basketball season. International students are typically not permitted to have off-campus jobs, so the extra money was worth it for the twins. Practicing on one court and playing home games on another court brings its own challenges. Fousseini added that the players often get fatigued quicker playing games at CCAC, which is bigger than the Student Center court. The men’s and women’s basketball teams often share coach buses for their road travels to play conference opponents in Ky., Ind., Pa., W.Va. and Ohio. The Konates, both 6-foot-5, said the travel is taxing. Sitting on a bus for five hours without stretching or bending their knees takes its toll. The men have posted a 16-9 record at home the past two seasons, opposed to a 7-21 record in road games, including 1-14 on the road last season. To distract from the crammed feeling on the bus, Fousseini said he now brings his laptop on the road and does homework while on the bus. Gabe Bubon is the men’s basketball coach at Point Park and also the men’s and women’s golf coach. He has helped build the programs into annual contenders and recruited high school basketball and golf star Max Kaminsky to Point Park to play golf. 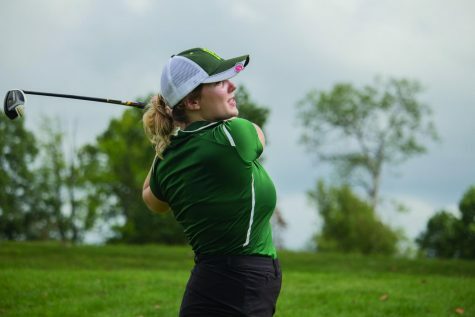 Kaminsky and the golf teams face the same struggles as the baseball and softball teams with practicing indoors during the winter months at the Robert Morris Island Sports Center. “It’s not the same because you can’t see the ball going that far,” Kaminsky said. Golf and a Pittsburgh winter don’t mix. But Kaminsky, who grew up in the area, knew the challenges of staying in the city for a collegiate golf. 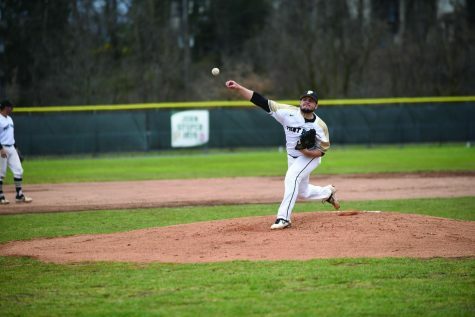 While other colleges have more golf courses nearby in warmer climates, he still picked Point Park because of the connection he had with his coach. Kaminsky did know how to stay warm in the winter. The group that rarely takes a week off during the academic year faces some of the newer and tougher challenges in the athletic department. Kelly Parsley was hired in January 2014 to build a track program for the upcoming year. Coming from Lindenwood University-Belleville in St. Louis, Mo., Parsley knew of the challenges ahead of him, but it wasn’t what he expected. Instead, he spent his first few months on the job recruiting and scouting facilities. He eventually developed a relationship with Keystone Oaks High School in Dormont. The team practices after the conclusion of the Keystone Oaks school day and has to battle rush hour traffic through the Liberty Tunnel to get to practice, taking upwards of 30 minutes to make the five-mile drive. He had a facility to practice and recruited 50 athletes, twice the amount he was asked to bring to the university. Indoor track and field wasn’t in the plans when Parsley signed on, but he approached Swalga with a pitch. 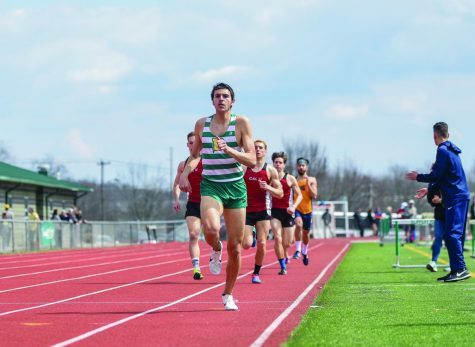 The athletic director agreed to add indoor track and field as well, but the team had to use the same budget designated for outdoor track and field. During indoor season, the teams travel to Youngstown State University to use its indoor track and field facility once a week. The facility is free to use for Point Park. The university does pay a small rental fee to use Keystone Oaks. 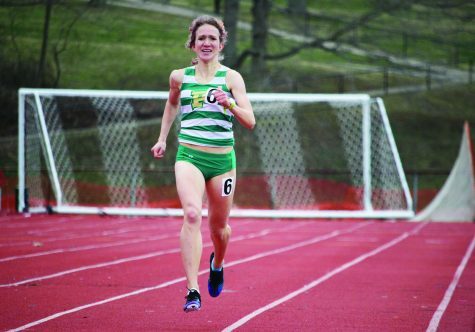 The nearly 70-mile journey for practice is taxing for some athletes, but the facility allows them to do block work, jump work and some speed work for distance runners. But throwers are at a greater disadvantage. The indoor facility at Youngstown State does not allow athletes to pole vault or throw every day, giving throwers the toughest obstacles to overcome on the team. Kiana Daley didn’t have throwing facilities in while at John D. O’Bryant High School in Roxbury, Mass. She applied the practice techniques she learned at her urban high school just outside of Boston to her college career and has found success in the discus, hammer throw and shot put events while at Point Park. Daley and the rest of the throwers work in the gym and racquetball room as much as possible when not having access to throwing facilities on campus or at Youngstown State. “We just try to make do with what he have,” Daley said. The teams in the best position now are the volleyball and soccer teams, playing home games in the Student Center Gym and the newly constructed Highmark Stadium in Station Square. Before Highmark Stadium though, the soccer teams played home games 19 miles north of Downtown at Founder’s Field in Cheswick. When Highmark Stadium came on board, Swalga immediately approached the facility to work out a deal. Now in a better position than the athletic department was 10 years ago in terms of facilities, the current challenge for Swalga is maintaining a positive relationship with the owners.